Give her a gift that’ll last a lifetime, the gift of love. These earrings will do a lovely job of complimenting her lively eyes! Handcrafted by an accomplished Navajo artisan and Silversmith, these earrings show a vintage vibe with traditional stamping and roping details. The earrings measure 1 1/2″ in length including the sterling ball post tops by 3/8″ in width. They are hallmarked “Sterling” and weigh 7.3 grams. We also offer free gift wrapping with each purchase. 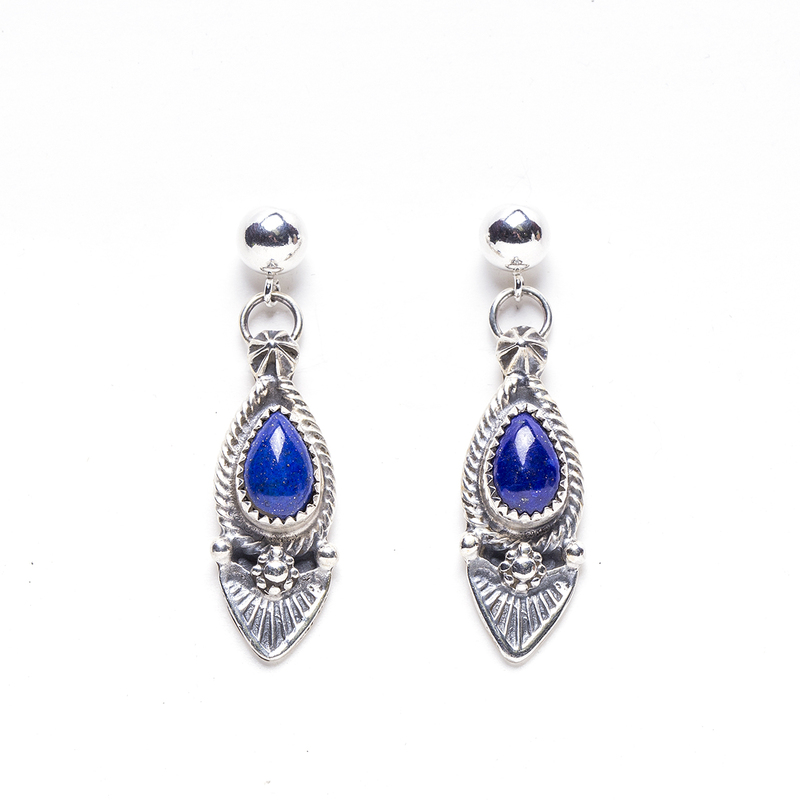 Navajo artist Lapis Earrings are a handcrafted display of the elegance that is Lapis with Sterling Silver. These earrings are perfect for any Western style!